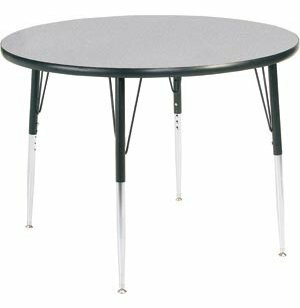 Group Study Adjustable Round School Table 48" dia. 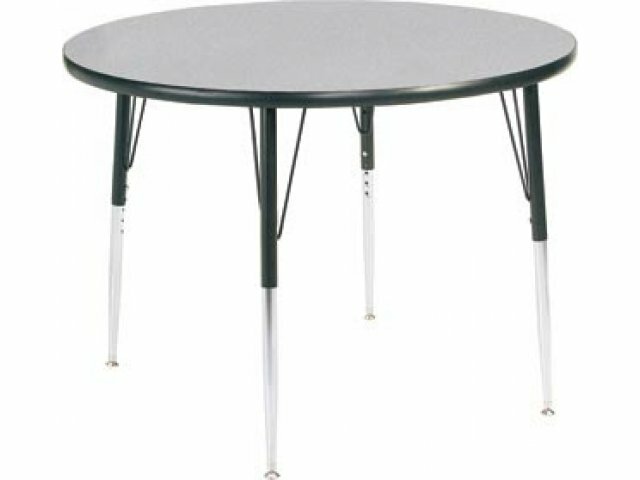 These Round Group Study Tables get an A+ for durability and versatility! 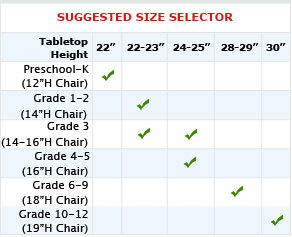 Also available in a wide variety of sizes, shapes and colors that make these activity tables perfect even for primary grades. 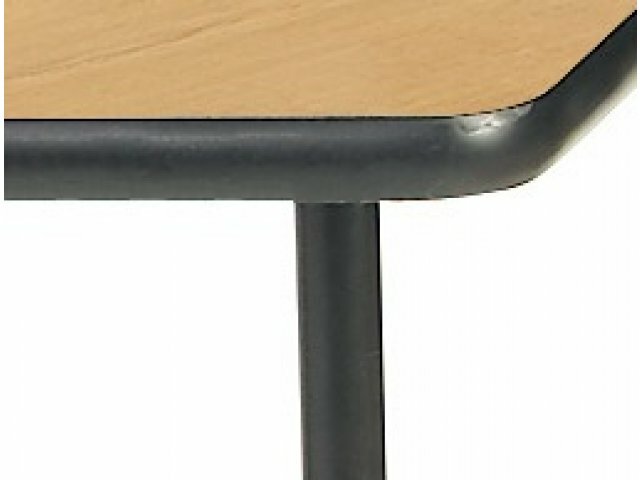 High pressure laminate resists nicks, dents and scratches. 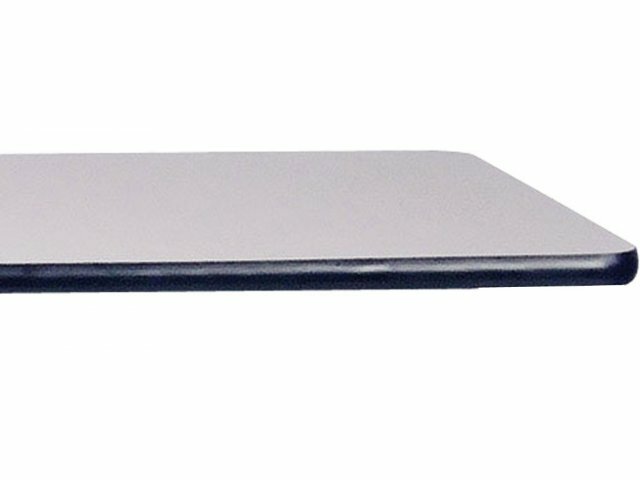 In addition the tabtetops wipe clean easily, and retain their fine finish, keeping the tables looking like new. 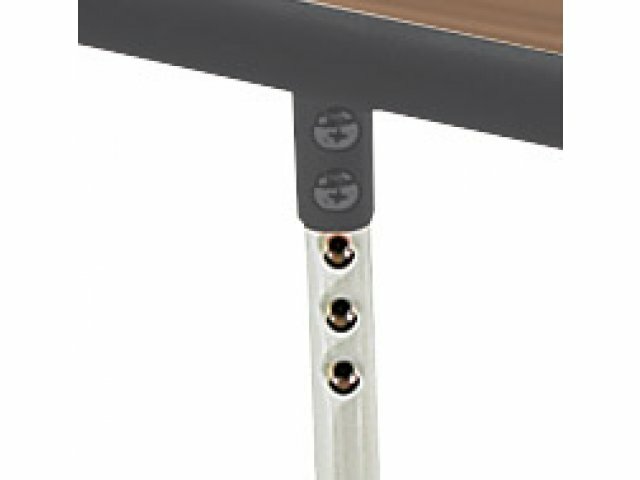 Remove screws from legs to slide to desired height and then replace screws to lock legs in place. Powdercoated paint finish is applied through a dry finishing process which creates a scratch-resistant, rust-free, eco-friendly finish. 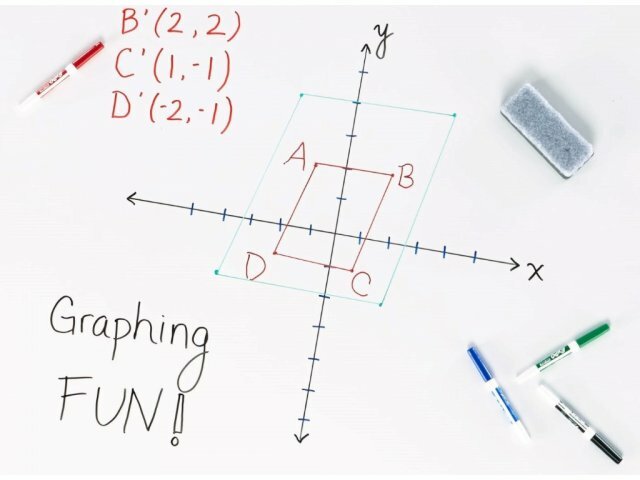 Whiteboard Option: Choose the whiteboard laminate option to allow students to write directly on the desk, offering a cool new way to solve problems and brainstorm. Warp-Resistant: Bonded laminate backing sheet to resist warping. 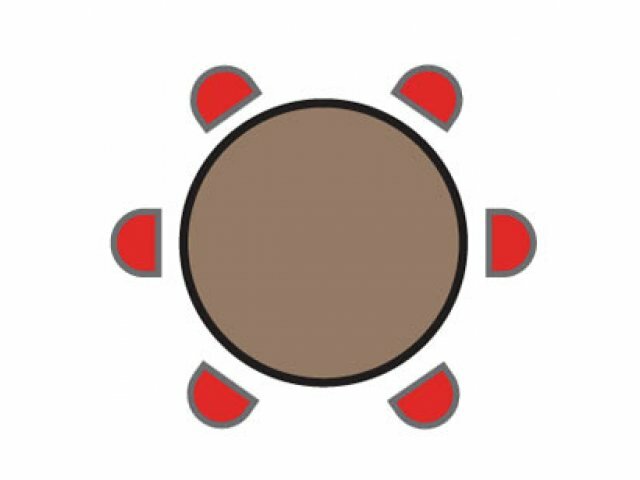 Durable: Tough bull-nose vinyl "T" edging adds safety and prevents chipping. Practical: Tops are pre-drilled for legs and other accessories. Handy: Optional book boxes can be attached under table. 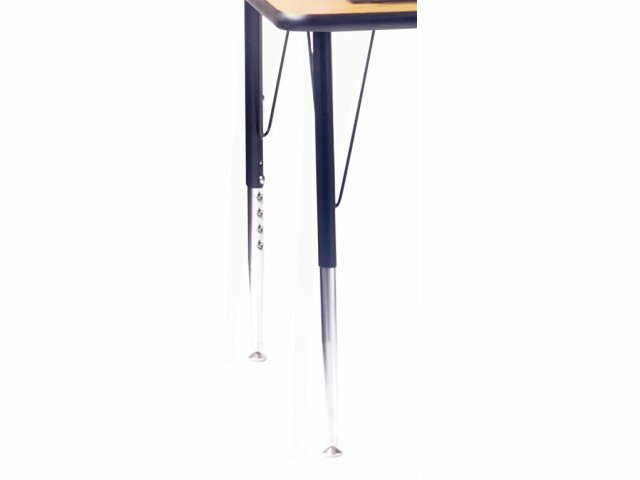 Strong: Legs have a tapered design, with open hairpin brace for added strength. 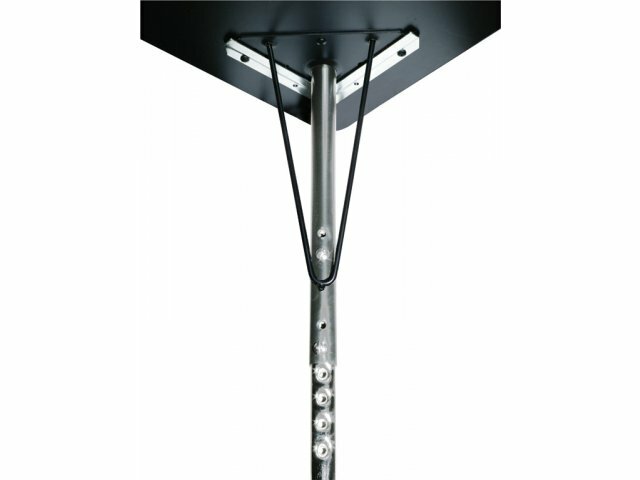 Floor Protection: Standard with self-leveling nylon glides. 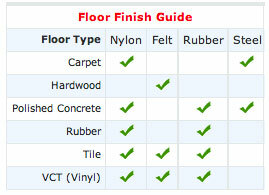 Choose optional felt, rubber or steel glide inserts to get optimal protection for any kind of floor.